Conan O'Brien would have been an Xbox Live star if someone could have figured out how. 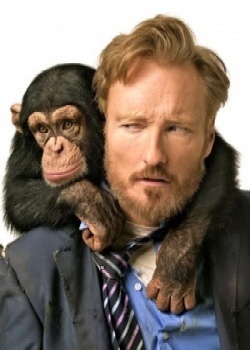 Before talk show host Conan O'Brien started his current show at TBS, he was in talks with many other companies, including Microsoft. The Xbox 360 maker envisioned Conan as a content creator for Xbox Live, with new details revealing exactly why things didn't go through. Gamasutra reports that Jeff Ross, executive producer of Conan, says that the talks with Microsoft definitely happened, but never got much further than a brainstorming phase. Microsoft apparently wasn't very clear about what it wanted O'Brien to actually do on Xbox Live, so his crew decided not to take the risk. "The Xbox thing - a lot of the conversations were 'well, it's a show, but it's not a show and there are no breaks, but maybe there are breaks and it's not 60 minutes, it's this' and nobody really knew what it was," Ross said. "So it was really going to be a leap of faith to jump in with these guys and figure something out which we didn't know." Microsoft evidently wants some kind of television-style content for its online network, but might not have its philosophy figured out just yet. Ross continued: "You meet with these guys and they show you all this stuff that they're developing and it's mind blowing. I think it's coming and it's big. It's just that we weren't in a position at that point to figure out what it was." I get the feeling that if O'Brien did go to Xbox Live, his show would have remained hidden from most of the audience it's currently building, even though he would have been jumping in on something new. If Microsoft really wants to attract some big stars for original Xbox Live content, it'll probably have to figure out how to make that "something new" into something popular and understandable.